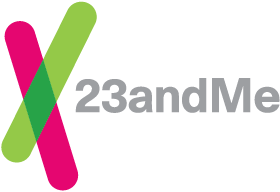 Establishing a sharing connection on 23andMe allows users to view one another's profile names, information from compatible reports, and the number and location of overlapping DNA segments. A sharing connection does not allow either person to search or download the other person's raw data, access their DNA Relatives list, or if applicable, view reports that require an additional consent, or view and download the other person’s Reports Archive. In addition to the capabilities above, you will be able to compare data from compatible health-related and traits topics. Reports that requires additional consent - such as Late-onset Alzheimer’s Disease and Parkinson’s Disease - cannot be shared between accounts. You would directly be sharing information about ancestral origins, family relationships (including a predicted relationship if applicable) and, if you've chosen that option, health-related information. Some people are comfortable sharing this kind of information, some are not — it's a personal choice. In the DNA Relatives tool, you can compare the shared DNA segments of two profiles you are sharing with even if those two are not sharing with each other. Similarly, the individuals with whom you share your profile may compare your DNA with that of other people they're sharing with. This aspect of sharing allows customers to compare people to each other and opens up new genealogical vistas by allowing customers to find evidence of family relationships.